It's that time again! 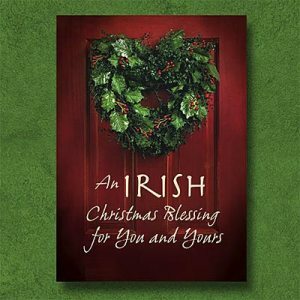 It's Songs That Make Us Sing Saturday - Christmas Edition! I think just about everyone who's got ears has heard some rendition or other of the beloved Christmas Carol, Silent Night. Whether Christian, Agnostic or Athiest, if you were to ask pretty much any person if they knew it, they could at least hum the melody for you. According to Wikipedia, it was written in Salzburg Austria, by Father Joseph Mohr (lyrics) and Franz Xavier Gruber (melody) and has been recorded by over 300 artists, in over 44 languages. The English translation was published in 1859 by John Freeman Young, Second Bishop of the Episcopal Diocese of Florida. Now, it could be because of my heritage, or just because it's so beautifully done, but either way, what follows is without question my favorite version... EVER! Oh my goodness! That is beautiful! Thanks so much for sharing. She has such a beautiful voice!! So peaceful. The video is peaceful, too! What a perfect version of the song. 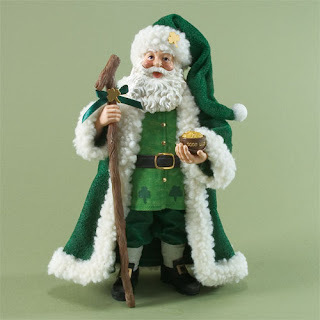 Love the Green Santa! I'll be back. George: Hope you had an awesome Christmas! Wishing you Happiness, Health and lots of great golf in the New Year! Peggy: It is, isn't it? Haunting in a way. Thanks for stopping by! Nan: So glad you stopped by and I'm doubly glad that you'll be back. I'm looking forward to it! Rob: It was a pretty good Christmas here, but since it was just hubs and me this year, it didn't feel quite the same. I know it's really hard to get into the spirit when you're still feeling the loss so strongly. It's a process my friend, but it does get better. Honest.